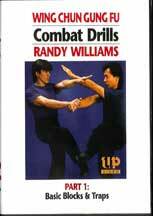 In this DVD Randy Williams demonstrates over 50 techniques for dealing with ground fighting. "Reverse Engineered" as he says, from the Wing Chung system, these are unique answers to problems arising from being on the ground or fighting someone else on the ground. Topics like the Guard, the Mount, a Tackle are all discussed. Williams' attention to detail and application of realistic thinking all take into the mix the dangers of ground fighting and some very direct and no-nonsense approaches to winning in that situation. What we particularly like is the direct method he shows of taking immediate control of the situation with well timed and succinct actions. In this second of Randy Williams special series on ground fighting he gets even more specific showing defenses against the Choke, Headlocks, Guillotines, Takedowns and Nerve Shocks. He also surveys using the ground as a weapon. 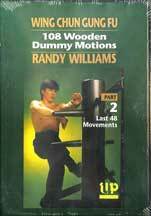 RW's approach to ground fighting uses the special skills of the Wing Chun practitioner in a way which may be new for some people. He applies Wing Chun's strengths to the make immediate and significant responses to the dangers of fighting on the ground. 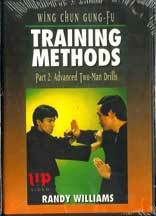 In a system like Wing Chun the "structure and footwork" section is vital information. Of course you might think that's true of all systems but some, such as Wing Chun and Xing Yi, are particularly structure or "shape" centered. In this DVD Williams goes immediately and clearly to the heart of the matter by not just showing the footwork exercises, which are like learning dance steps, but anticipating the questions and problems a serious student might encounter. This is the "work" part of the system and well worth the effort. 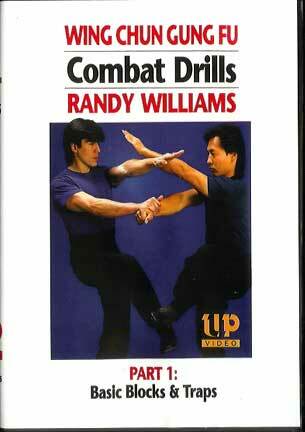 In this second level of Basic play Randy Williams shows not only footwork but the accompanying kicks from the Wing Chun system. He also goes into very good detail on the principle of Centerline. 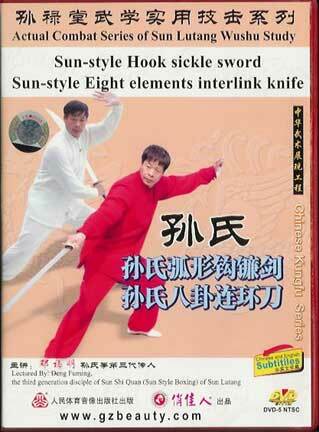 The Invisible Kick is discussed and shown in application. 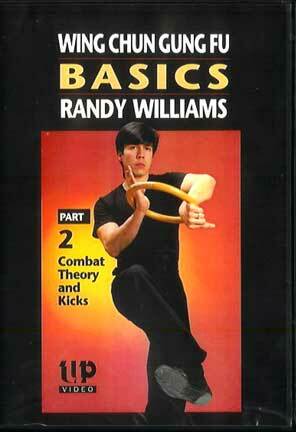 Take the "basics" title seriously but Williams demonstration will give you hours of work to do. 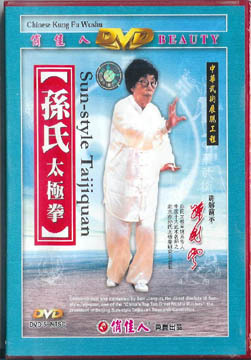 At the end of the DVD he shows exercises and training with the Wing Chun rattan ring. 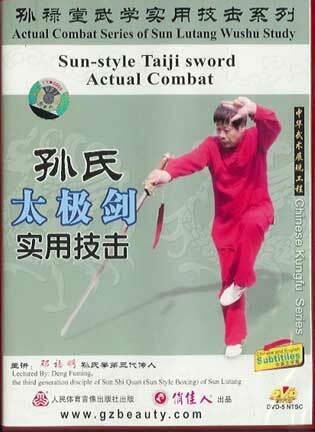 Most Kung Fu styles presently suffer from the same thing; not enough training practices. Luckily Wing Chun has retained many drills and hands on methods.Take this DVD for instance. 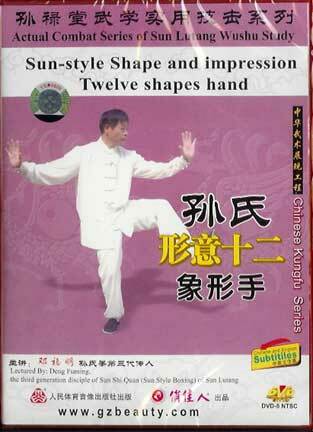 Sifu William starts with a set Lop Sau pattern, parry, pull down, back knuckle. Then he builds the pattern into its own variations. This is a great bridge between form and spontaneity and no different from working a takedown or choke over and over for both feel and adaptability. So this is not only a good DVD for its contents but it might inspire any good teacher to additional routines. Many good drills here. A number of two person drills are shown. 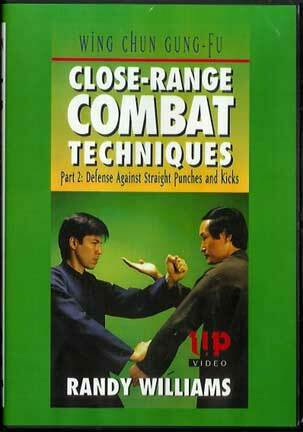 Basically these breakdown into kicking and stepping combinations based on Single Hand Chee Sao with Wing Chun kicks added. There are also other combinations such as leaking drills. Toward the end is a large section on Sticky Legs Combinations. The focus here is on repetition and just plain solid drilling. Williams shows some good old intense training like how to breakdown the Sil Lum Tao form and repeat each section 108 times. Same with Chum Kiu. 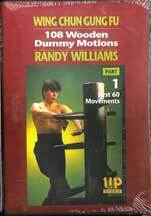 Then he demonstrates a sequence of 108 punches and different ways to engage in intensive training. .
Williams' idea is that combat drills bring into action the "applied structure", that is to say the structure of the system is relation to a partner. Many drills with the partner are shown to a repeat pattern. 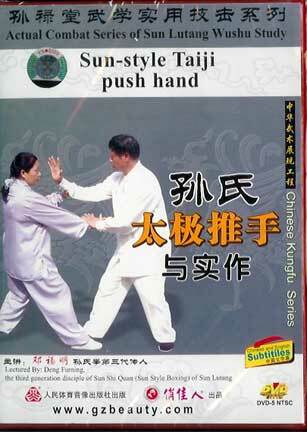 These include a very distinct Wing Chun version of Three Stars, Crossing Punches, and other hand drills some of them requiring a good deal of coordination. Williams' idea is that combat drills bring into action the "applied structure", that is to say the structure of the system is relation to a partner. Many drills with the partner are shown to a repeat pattern. 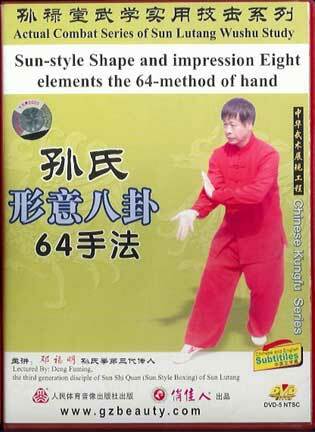 These include a very distinct Wing Chun version of Wu Sao and Laup Sau drills with many variations which evolve out of each drill pattern. 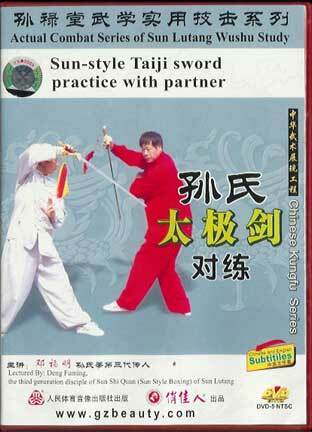 Also, at the end of the DVD, he shows Iron Palm training for Wing Chun. Randy Williams shows the less classical and more street oriented applications of the art taken from all aspects like Chee Sau and the Dummy. He leavens the instruction with humor and clarifies with good explanations. He talks at length about the Open and Closed fighting relationships. 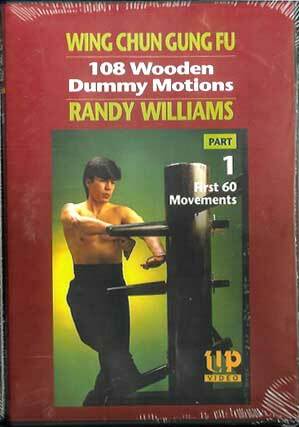 Other points covered include : waiting a beat at entrance, angle and timing, rules for close and open fighting. 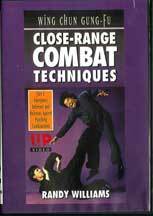 This DVD ranges freely among the forms to mix techniques all for combat orientations. 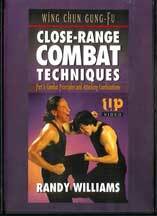 Randy Williams Starting with defenses against a jab, Sifu Williams goes through a wide variety of patterned responses. 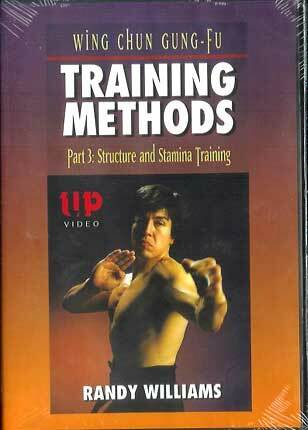 Possibly because the attacks are simple strikes he shows the really tight in-fighting of the Wing Chun system with many grabs, skin twists, hair pulls, throats locks and similar applications. A few of these are a trifle too formal and mechanical but every one teaches useful principles. Many short range fingers attacks and quick manipulations. Here is what might be called the street defense portion of the training. 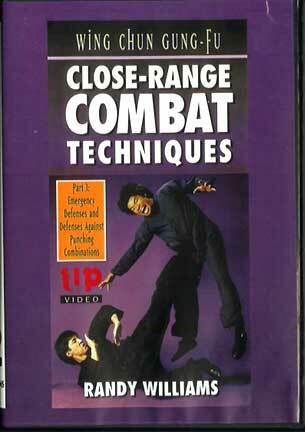 Williams presents many movements against close range and enter-to-grappling range. Grabs, tackles, pushes, ground work, and a host of other situations are surveyed. Not every response is a gem but there is a wealth of information here. Williams also lets us see a bit of his humor some of which is good enough to qualify him as a Kenpo practitioner at least. 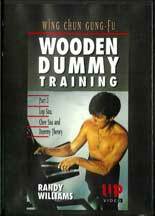 The Wooden Dummy form is presented in these two DVDs. Teacher Williams shows the motions in very classical form of the Yip Man school. Every motion is explained in Part One for the first 60 actions. He shows not only the applications on a partner but much of the strategy and many follow-ups. Very clear and thorough presentation if, to our eyes, a bit mechanical. Overall a serious and forthright effort. 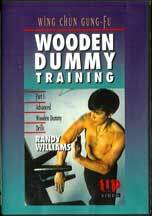 The Wooden Dummy form is presented in these two DVDs. Teacher Williams shows the motions in very classical form of the Yip Man school. Every motion is explained in Part Two for the last 48 actions. He shows not only the applications on a partner but much of the strategy and many follow-ups. Very clear and thorough presentation if, to our eyes, a bit mechanical. Overall a serious and forthright effort. 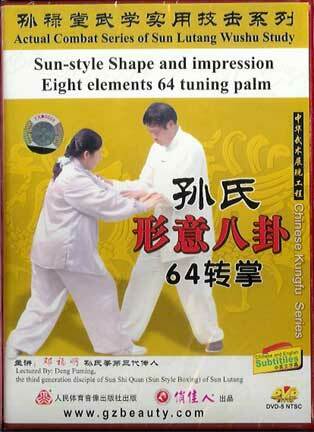 What is great about Wing Chun is that is emphasizes drills and contact, hands on training. 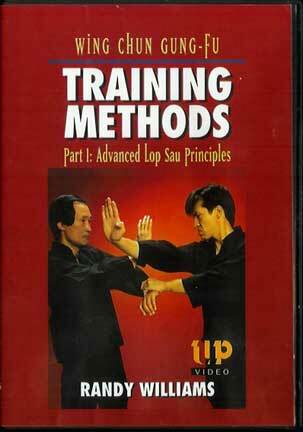 At one time ALL Kung Fu was taught this way. Here are many, many drill combinations on the Wooden Dummy. In each case the ever sincere Williams immediately shows the application on a partner. Not a lot of theory but many good drills with a particular emphasis on outside to inside control of the center line. 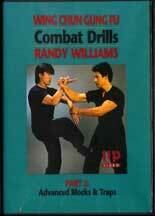 First hand combinations then both hand-leg and leg only combinations. This is useful Wooden Dummy work making it a good practice partner and very useful for the home student. This second part on the Dummy Training introduces the more mobile footwork patterns such as Triangle Step (Ghost Stepping) with associated hand motions. For many people this can be surprising difficult to understand and the Dummy is an excellent way to achieve the true feelings of these motions. Many clear drills. Again, he shows most things in application on a partner. 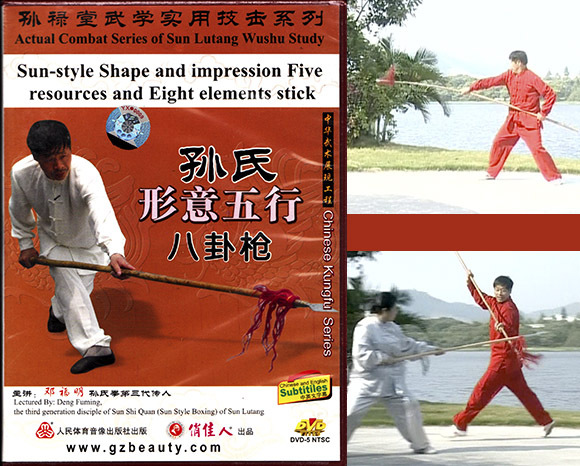 He also shows the use of the Wooden Dummy as almost a responsive partner when training for Lap Sau and Chee Sao drills.